Want to add a modern twist onto your cake? 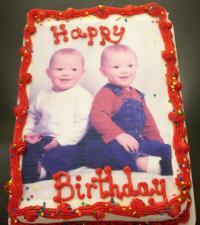 Bring in that special photo and we will use our edible image photo machine to put the picture directly onto your cake. What a great way to create a memory!